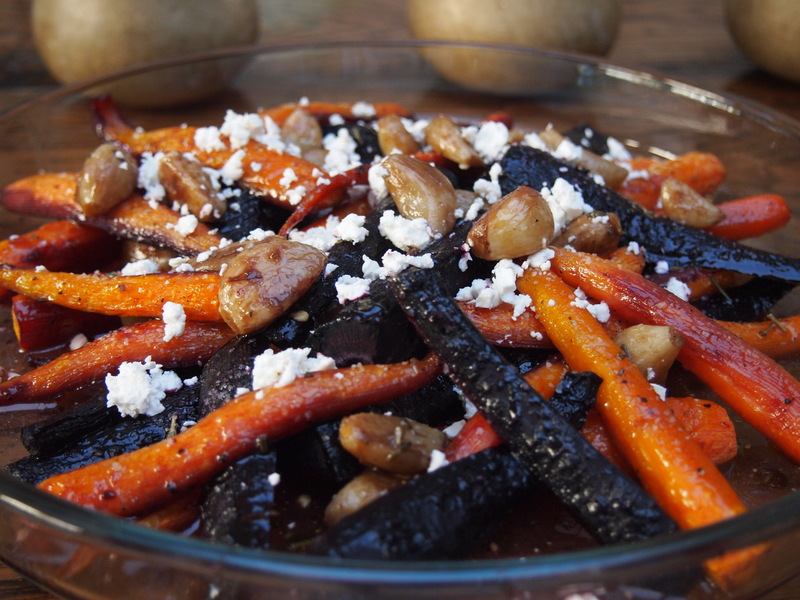 There are lots of roasted carrot salads out there but this one really stands out from the crowd. 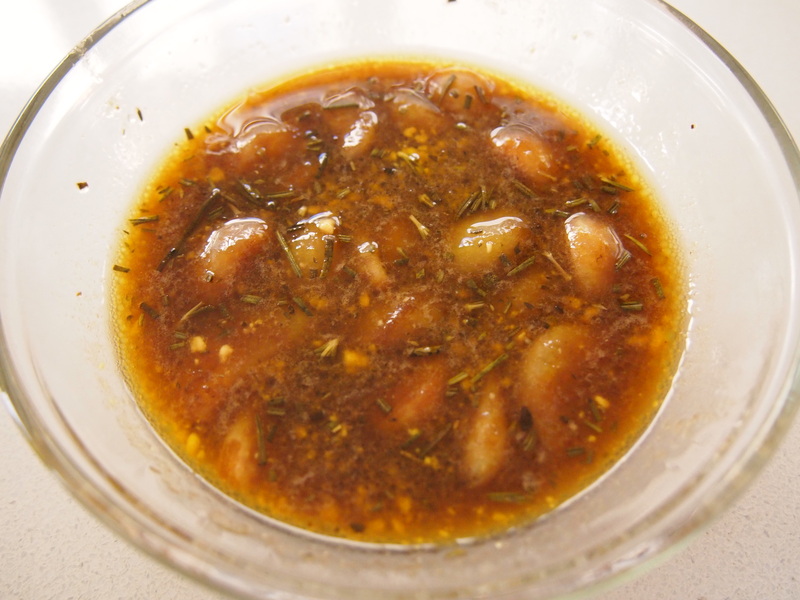 The caramelised garlic dressing lifts the whole dish and gives it more complexity. Perfect paired with any roast or grilled meats or even as a starter served over some salad greens. 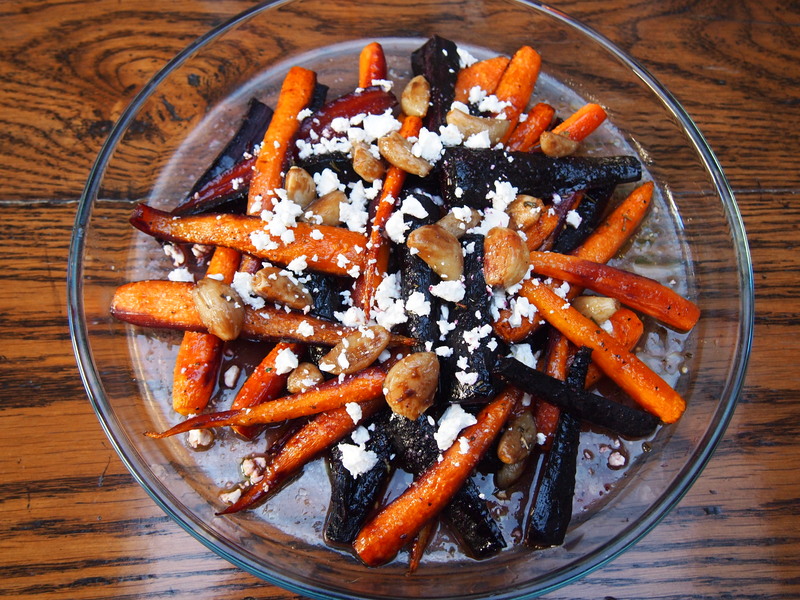 The addition of purple carrots not only enhances the appearance of the salad but the taste as well. Carrots were one of the earliest cultivated vegetables and were first grown in the Middle East. 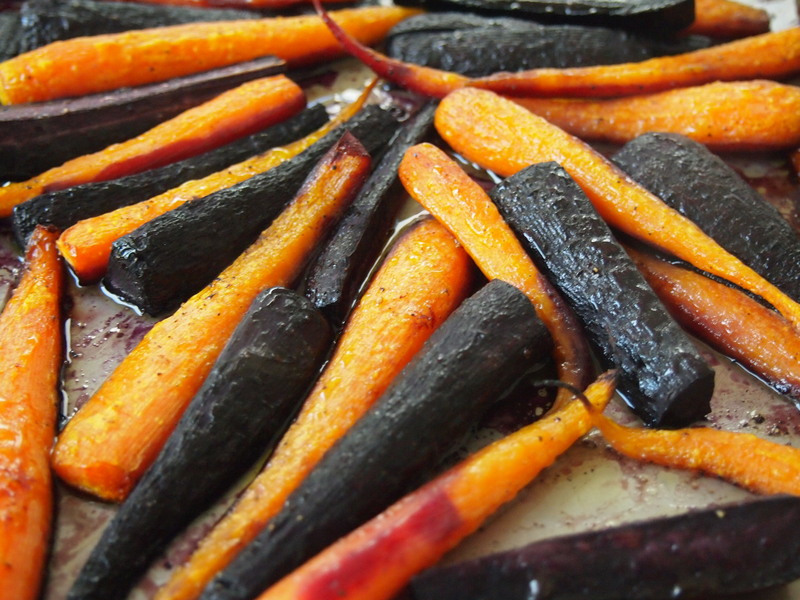 All carrots were originally purple and it was only in the last few hundred years that they’ve been cultivated to be the orange colour which we now know. The purple variety that is becoming increasingly more available are grown from heirloom seeds and are said to contain more than double the amount of nutrients than the orange variety. Preheat oven to 220C. 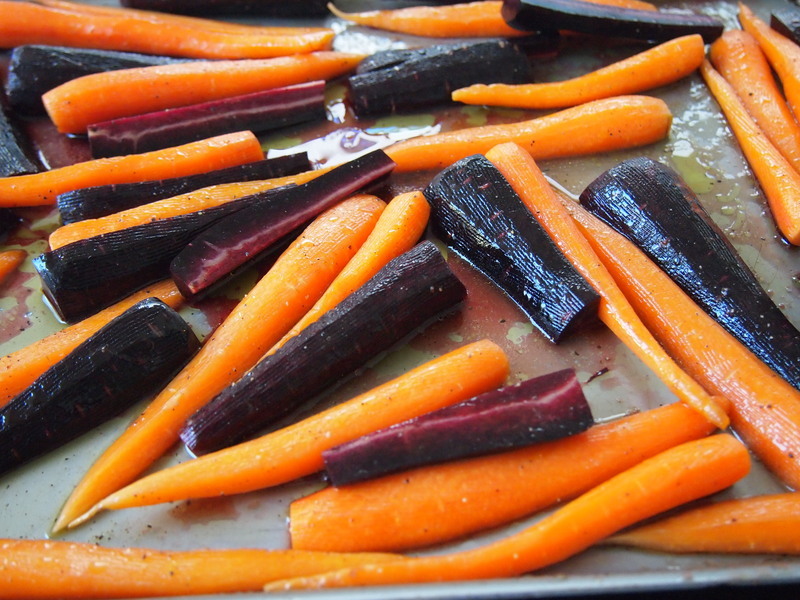 Peel and trim the carrots and place onto a sheet pan. Season well with salt and pepper. Add enough olive oil to coat them well and drizzle on the Vino Cotto. Mix the carrots well and distribute evenly in a single layer. Bake for 30 minutes until they are nicely roasted. Whilst the carrots are roasting prepare the dressing. Put the garlic into a small saucepan and cover with plenty of cold water. Bring the water to the boil and boil for 8 minutes uncovered. Drain the garlic and dry the saucepan. Add the garlic back into the pan with the olive oil and fry for a few minutes over medium heat until garlic is starting to brown. Add the water and balsamic and bring to the boil then simmer uncovered for 10 minutes. Add the salt herbs and sugar and simmer for a further 10 minutes. Take off the heat and stir in the mustard until dissolved. Taste and add more salt if required. When the carrots are ready place them on a serving platter, being careful to not mix them around too much as the purple carrots bleed. I like to sprinkle them with a little more sea salt at this point. Drizzle the dressing and the garlic over the carrots and top with the crumbled cheese. Can be served warm or at room temperature.